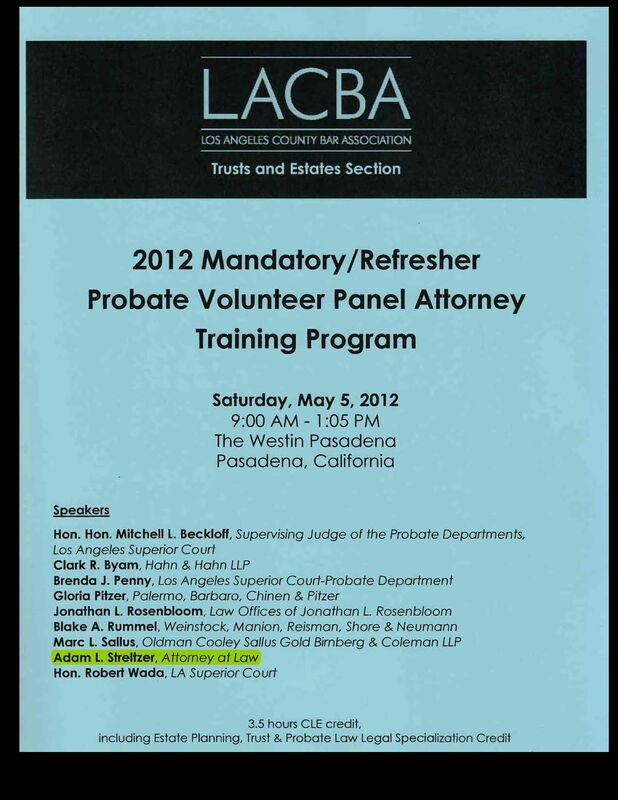 Mr. Streltzer and his co-presenter, Mr. Robert C. Eroen, gave presentations in 2018 to various bar association groups concerning the impact of the California Supreme Court’s upending of California’s spendthrift laws in the case of Carmack v. Reynolds (2017) 2 Cal.5th 844, as subsequently applied in the Ninth Circuit Court of Appeals proceeding of Frealy v. Reynolds (In re Reynolds) (9th Cir., Aug. 15, 2017) 867 F.3d 1119. The interest(s) of each beneficiary in a spendthrift trust, both as to income and principal, are protected from the claims of creditors taken or to be taken by any legal or equitable process. Because the subject of the creditor’s action is money or property belonging to the trustor(s), not the beneficiary, and the trustor(s) intended that their beneficiary be protected from that beneficiary’s own improvidence, then those trust assets are protected from attack by the beneficiary’s creditors. California, like almost all other jurisdictions, has over time expanded the class of persons permitted to avoid operation a spendthrift clause in satisfaction of obligations owed by beneficiaries. A natural consequence of that expansion has, in some cases, frustrated the intent of the trustors. This expansion in favor of creditors has, out of necessity, led to a corresponding decline in the protections offered to beneficiaries (and trustors) by the spendthrift rules. Notwithstanding a valid restraint on the transfer of a beneficiary’s interest in a trust (i.e., a spendthrift trust), and subject to certain limitations, a judgment creditor may apply to, move, or petition a trial court for an order directing the trustee of a trust to satisfy all or part of the judgment out of the payments to which a judgment debtor beneficiary is entitled pursuant to the trust instrument. When faced with a request for relief by a judgment creditor pursuant to California’s Code of Civil Procedure §709.010 and Probate Code §§15300 et seq. to apply a judgment debtor beneficiary’s interest in a spendthrift trust towards satisfaction of a money judgment, a trial court may apply up to 100 percent of the amounts for any distribution that is “due and payable,” whatever that may mean in the context of the dispute and upon consideration of the text of the applicable trust instrument. But, as to “future” payments, the trial court has no authority to order the trustee to withhold from a beneficiary’s future distribution any more than 25 percent thereof, in the aggregate, as to all judgment creditors. Adam gave a nation-wide telephonic seminar hosted by National Business Institutes (NBI) on December 19, 2012. The Times They Have A-Changed: Creditor’s Rights Issues for Estate Planners in a Turbulent Economy. Adam represented one of the prevailing respondents. The Court of Appeal was called upon to interpret and apply language in a trust instrument which directed the trustee to distribute certain real property to a beneficiary’s subtrust. That directive was merely a mechanism for funding that beneficiary’s residual gift, assuming the trustor still owned the property as of the trustor’s death. The reference to a specific source of funding—that certain property—did not make it a specific gift.